Summer is here, and so is one of the biggest threats facing outdoor adventurers. Summer is only a few weeks away, and many people around the country are already taking to the outdoors to enjoy the sunshine and warm weather. According to a report from Philly.com, however, the sun still poses significant risks if proper precautions are not taken. Nearly everyone who has spent time outside has experienced sunburn to one degree or another, and children often face the biggest risk. Eager to get out and play, it’s extremely easy for children to lack the foresight to take measures to protect themselves from the sun. Luckily, health officials are on the case and have provided a number of easy reminders for parents hoping to keep their kids safe this summer. Skin cancer rates continue to rise in the U.S., with 76,000 new cases of invasive melanoma predicted this year alone. 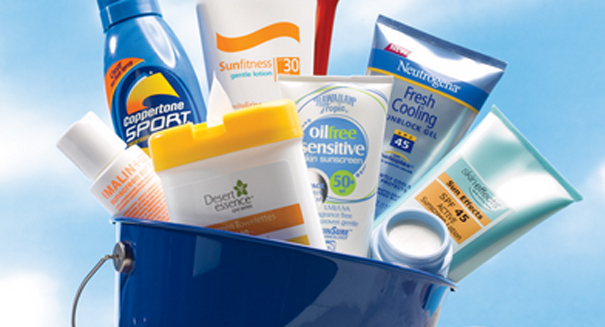 According to a study from the Environmental Working Group, nearly three-fourths of sunscreen products currently on the market lack sufficient protection or contained potentially harmful ingredients. Additionally, many of them were marketed toward children. One of the main findings of the study was that there was little material difference between products marketed for children compared to those intended for adult use. The report urges parents to choose a product that will keep the sun’s harmful rays at bay, and not necessarily a product with a label depicting child use. The EWG recommends that parents choose products containing zinc oxide and titanium dioxide as the primary UV filters. These are minerals that are capable of blocking out rays from the UVA spectrum, which is difficult to find in many products. The SPF value on a bottle of sunscreen can be misleading, as these products containing zinc oxide and titanium dioxide only go up to a value of 50. The report urges parents to avoid sprays, which can be inhaled and cause respiratory irritation. Spray-on sunscreens also often fail to provide a sufficient layer of cover, leaving a child vulnerable to burns despite the application of a sunblock product. Ultimately, the best thing you can do to protect your children is to limit their exposure to the sun altogether. When shade is unavailable, make sure to apply one of the EWG’s recommended sunscreens. Information regarding sun protection from the CDC can be found here.